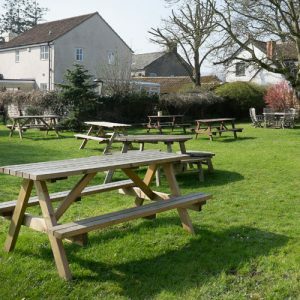 The Chetnole Inn comprises of a restaurant, main bar, snug bar and beautiful garden. 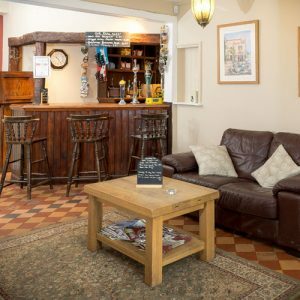 Our snug bar is perfect for enjoying a glass of wine or a pint of foaming ale before dinner. There is a couch and various seating styles. 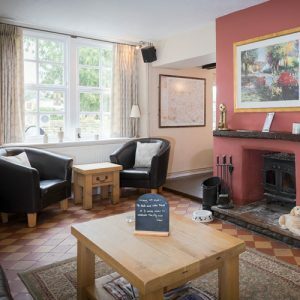 The log burner is lit for those chilly evenings and board games available to keep you amused. Dogs are allowed in our snug. 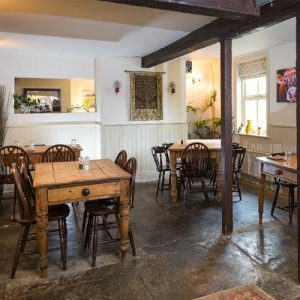 The main bar seats about twenty four people has a flagstone floor, also with a log burner and views out towards the church of St Peters. The restaurant has a wooden floor, lovely and airy and seats about twenty two people. The restaurant can also be used for private parties where we can accommodate your individual requirements. 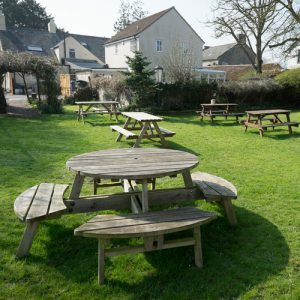 Our beer garden overlooks fields with thatched properties in the distance. We love dogs and they are welcome in the garden. Food is served 7 days a week, lunchtimes and evenings but closed on a Sunday night. 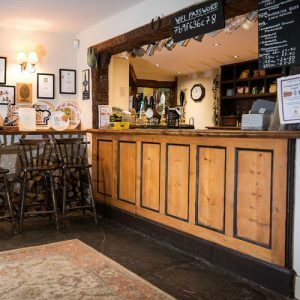 We offer a Traditional menu with a modern approach and source as much of our ingredients as locally as possible. We rotate our real ales, some local and some more national brands. Our wine menu has been carefully selected to suit our menu.